For decades, athletes saw emotional vulnerability as something to be shunned, a personal shortcoming that must be internalized and kept out of the limelight at all costs. Competitors seemed to hatch into life as fully formed adults—stoic, hardened and almost inhuman in their single-minded fortitude. Today, all that is changing. Audiences are coming to value the personal depth and struggles of athletes, beginning with their formative experiences as children. And amid this increasingly crowded field of emotional origin stories (kicked off, of course, by Duracell's amazing Derrick Coleman ad), few can compete with Powerade's new two-minute spot, "Nico's Story." Nico Calabria, born with one leg, is not a professional athlete. But his story and accomplishments sparked Coca-Cola's sports drink brand to feature him as part of its 2014 FIFA World Cup campaign. In the ad, by Wieden + Kennedy Amsterdam, we watch home videos as Nico grows from a toddler to a confident child and finally into his teen years, when his talent for soccer becomes truly remarkable. 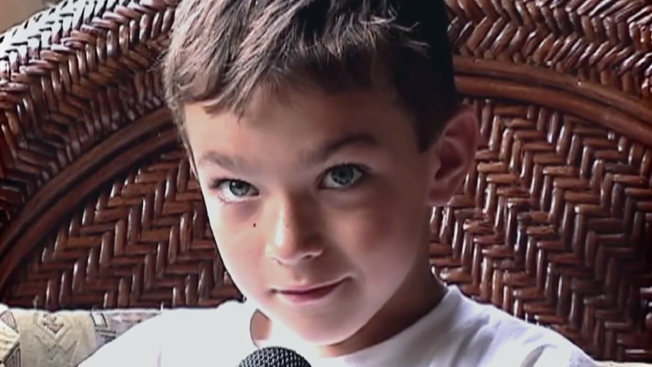 For all the amazing moments in the video, one subtle scene stands out above the rest: Asked how old he is, Nico says he's 8—and the look he gives speaks volumes. In the span of a minute, we've watched him learn to make the most of the body he was born with, and his hard-earned confidence comes across clearly, with little more than a raise of his eyebrows. Nico went on to climb Mount Kilamonjaro, became a YouTube sensation and landed a spot as the youngest member of the U.S. national amputee soccer team. You can read more about his life in a profile written by Coke to announce the ad. While brands will continue to bring us more emotional backstories of athletes from every walk of life (with many ending up more cloying than compelling), if even a small number can generate this kind of sincere impact and inspire future generations, the trend definitely won't be a bad thing.